Createspace Independent Publishing Platform, 9781987744149, 260pp. When Fatemeh Karimi married Ramon Morales, she neglected to share one small detail. She was already betrothed to a merchant named Hamid Farzan. She had no interest in Hamid or an arranged marriage. She wanted to live life on her own terms. Eight years after marrying Ramon, she assumed Hamid had long forgotten about her, as she had him. Settled in New Orleans, Ramon works as an attorney, Fatemeh owns a pharmacy, and they're proud parents of a precocious daughter. Out west, Apaches armed with powerful battle wagons have captured Fort Bowie and threaten Tucson. Businessmen with an interest in a peaceful solution ask Ramon to come west and settle the conflict. Meanwhile Hamid arrives in New Orleans and he has not forgotten Fatemeh or her vows to him. 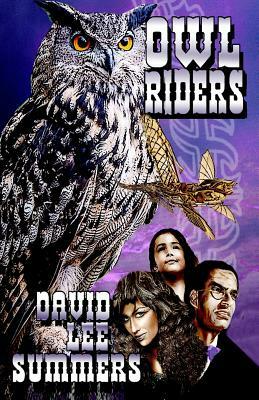 Now, the famed Owl Riders must assemble once again to reunite Ramon and Fatemeh so they can tame the Wild West.